A couple weeks ago I donated a unit of blood at Rashtrothana blood bank in Bangalore. It was exciting to donate it for the 25th time. It all started way back in 1997 and this activity continues to inspire me to retain my eligibility for blood donation (health vitals & other blood parameters). As I reiterated in my earlier blog article, there are numerous benefits to donors too. I have reaped all those benefits in the last 17 years. You can read the article below to know more. With proper planning I could have increased the count to 50 (3 times a year for 17 years), but I didn’t. Can you guess the reason? It’s the most common reason that I have heard people offer for not donating regularly. “I am waiting for the opportunity to donate to a friend or relative”. Imagine all donors thinking like that! I took a while to come out of this veil of excuse and participate in voluntary donation camps. When I crossed 30, I made a commitment to participate in camps or a visiting blood bank 3 times a year for this noble (and favorable) activity. Every time I talk to the staff and inquire about the supply, I realize the gap between demand & supply in India. There are a bunch of people in my life who made a great impact and inspired me in this 17-year journey. I would like to express my heartfelt gratitude to the following people. If I have missed anyone, I apologize in advance. My elder brother Raghu who led by example and participated in several donations. I am sure he is close to 20 donations now! 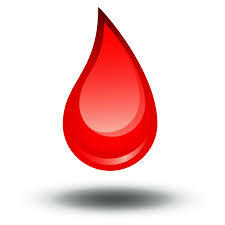 I sincerely request all readers to become a voluntary donor and donate blood at least twice every year. It’s a great way to serve while we continue to live with verve! While reading an article on ‘Big Data’ last week, I stumbled upon 4 aspects that distinguish ‘Big Data’ versus ‘traditional data’ stored in information systems. These 4 aspects are: Volume, Velocity, Variety and Veracity. I was fascinated to realize the same 4 aspects apply to the realm of thoughts in our minds. This article extends the analogy and provides my perspective on how these aspects influence thoughts. Psychologists say we think about 60,000 thoughts per day. I wonder how they measured this 🙂 it’s an interesting number regardless. No wonder we all feel overwhelmed at the end of the day trying to swim in the ocean of thoughts. How many of these thoughts are productive/empowering versus unproductive/debilitating? To experience the velocity of thoughts, sit alone for 5 minutes and observe your breath. Within seconds, you will be hijacked by a new thought and it will take a while for you to come back & notice your breath again. There is a simple Buddhist meditation technique to experience this process. In this technique, you start counting your breath from 1 to 10. With each cycle of inhaling and exhaling increase the count. You will be lost in thoughts by the time your reach 6 or 7! Try this out. Like a monkey jumping from one branch to another, our mind moves from one thought to another. Sometimes these thoughts are related and sometimes they are totally unrelated and distinct. 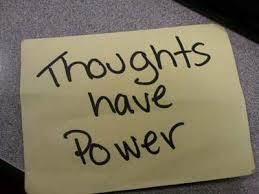 As your notice your thought pattern, it’s astonishing to find the variety of topics your thoughts can meander through. As you notice your thoughts, you might find yourself imaging the future or replaying the past! Either trying to re-image the past and changing it or fantasizing a better future or worst yet imagining a potential personal disaster in future. It’s hard to keep our minds here and now! How many of these thoughts are veracious? How many of these are based on unverified assumptions, colored perceptions and self-fulfilling prophesies? Perception is reality. One of the best ways to understand our thought pattern is to capture them in a journal. Every hour open your journal and write down your thoughts & feelings at that point of time. As you do this persistently over a period of time you will elevate the level of awareness. Kindle this flame of awareness via contemplation, self-observation, silence and meditation. The journey and the results will be equally rewarding & fulfilling! PS : I acknowledge the graphic from the net.